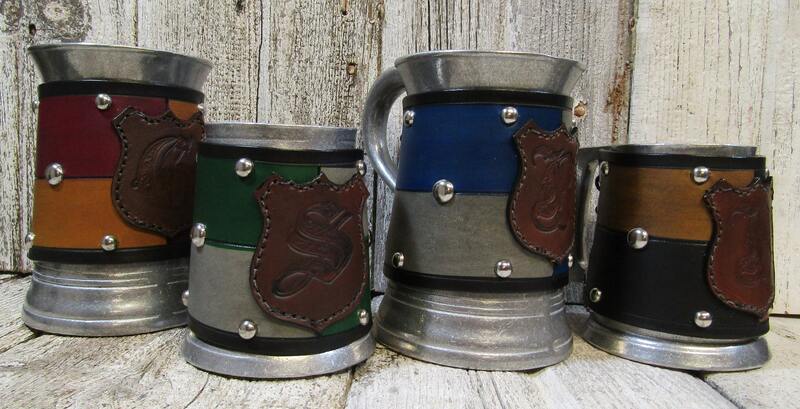 Drink your butter beer in style in one of our Wizard School House tankards! Each is individually sand cast from a food grade aluminum alloy called Statesmetal. 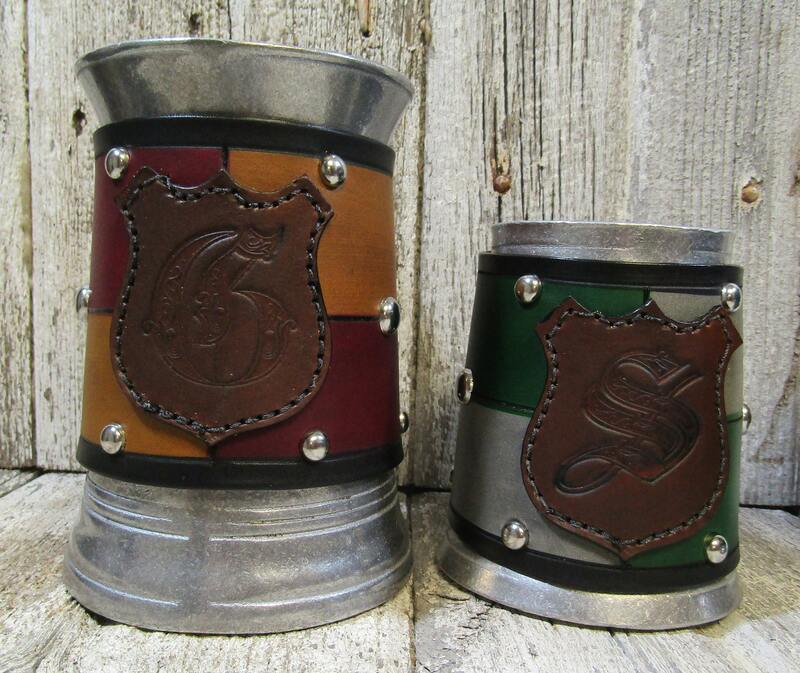 Available in a smaller 16 oz or large 36 oz tankard! 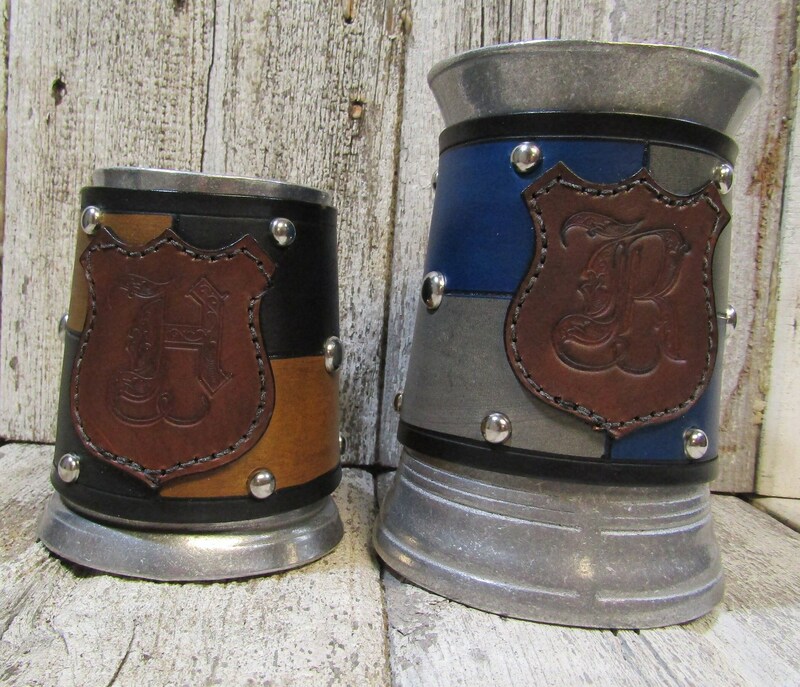 The leather covers are hand dyed in with one of four House colors and are emblazoned with a brown stamped shield medallion stitched onto the front, representing your House!